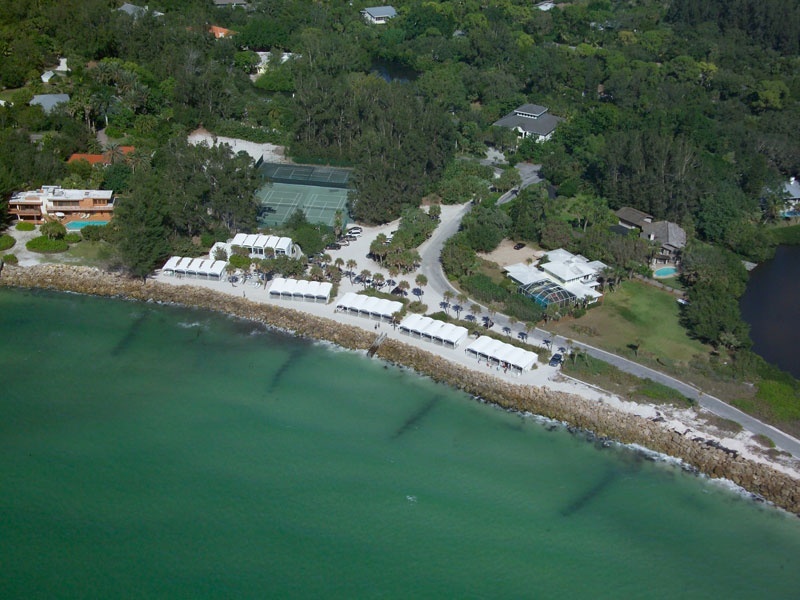 The exclusive Sanderling Club was founded shortly after the first modern settlers came to Siesta Key. It is home to some of the most spectacular waterfront properties on Florida’s west coast — the only guard gated single-family neighborhood on Siesta Key. Situated along white powdery sand beaches, the Sanderling Club is located just minutes from the popular amenities of Siesta Key Village. Its congenial members enjoy a casual lifestyle that includes tennis, boating and a myriad of recreational opportunities. Membership in the Sanderling Club has many benefits, including deeded gulf access and usage of the club’s cabanas, which were designed by renowned architect Paul Rudolph. They and other structures within the Sanderling Club are on the national register of historic places.